This article was published in the American Harp Journal, Vol 23 No 1, Summer 2011. written by Emily McIntyre, a free lance writer and performing harpist. (see links below). We publish this with permission from The American Harp Society. Exquisite craftsmanship, outstanding tone, and soft, simple designs distinguish the handiwork of luthier Raphael Weisman. Originally a creator of early instruments such as the lute, bandora, and vihuela, Weisman has been a leader in the harp therapy and lever harp movements since the seventies. Now, as he retires in order to make room for other endeavors, he leaves behind him a legacy that continues to grow. Weisman was born in South Africa but became interested in early instrument construction in Israel. Eventually enrolling in an early instrument construction program in England, he became a central part of the then-blossoming European early music revival. 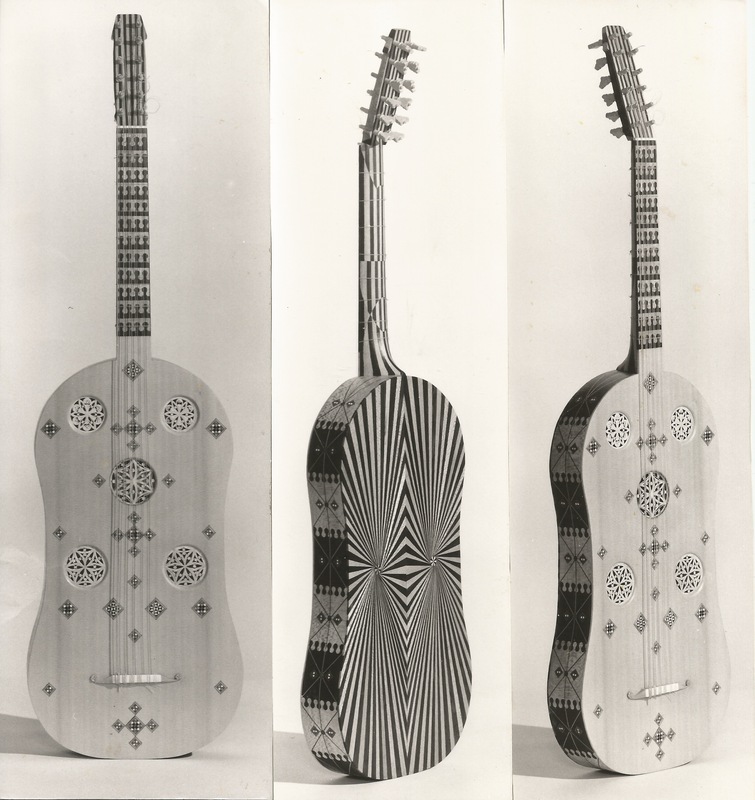 At this time Weisman completed the only accurate replica of a Spanish vihuela dating from c. 1500. The project was a graduating qualification in the tradition of the Spanish luthiers, who after many years of apprenticeship had to prove candidacy to the luthier’s guild by creating a “a large instrument made of very many pieces with a unique design”. The vihuela is stunning, covered with complex geometrical marquetry in ivory, ebony, and other woods. The attention to detail and craftsmanship Weisman demonstrates in this instrument continues to be evident in his harps. Weisman founded “Harps of Lorien” in New Mexico in the mid-seventies as a “co-operative business with a mission to provide quality hand-crafted instruments for healing.” Each harp is subjected to a process of blessing and praying during the sanding and finishing. Even though the harps are blessed and prayed over in the construction phase, it is during the sanding process that the instruments receive their special blessing as the grain reveals its beauty and the maker gets to caress the instrument while sanding. Weisman uses many layers of Tru-Oil, a linseed oil base finish, which he advocates for the way it reveals the natural beauty of the wood, following the grain and lending a mellow luster. In the final process, a piece of silk is used to polish the finish. After many years, he says, the appearance may dull, requiring another layer and some polishing. Weisman’s background in early music construction exerted a strong influence on his harpmaking. However, when constructing early instruments the luthier is restricted to making exact copies, and the focus is upon carefully discovering and re-creating designs from centuries past. In his harpmaking, Weisman discovered a new creativity and pursued designs which make his Harps of Lorien visually distinctive from other harps. Wherever he applies his energies in the future, Raphael Weisman will bring with him a visionary passion, which will positively impact the world around him, continuing the near-legendary impact of his harps and person in the far-flung world of harps and harp therapy. Harpists who own his harps will continue to change lives with their music, and eventually new harps will be made, providing a new generation of harpists with instrument of outstanding beauty and tone. We are extremely grateful to Emily and the American Harp Society for this wonderful tribute.